If you have a number of missing or damaged teeth, you may want to consider a full mouth reconstruction. During this treatment, our doctors can perform several different restorative procedures in a comprehensive treatment plan. With their combined expertise, they can ensure truly stunning results and fully renewed oral function. Should You Undergo Full Mouth Reconstruction? Before you can undergo reconstruction, you may require several preparatory procedures. For example, if you have gum disease, we will perform scaling and root planing, or as it is more commonly known, a deep cleaning. Dental crowns: Created from solid porcelain, a dental crown will completely cover your tooth to fortify it or to repair a large cavity. A crown can also hold a cracked tooth together or build it up following considerable erosion. Dental bridges: A dental bridge is made up of several crowns and is designed to replace one or more teeth. Our doctors offer traditional bridges and implant-supported restorations for unparalleled stability. Fillings: Our tooth-colored fillings will not only strengthen and seal your teeth, they will also blend in naturally with your smile. Traditional amalgam fillings may expand or contract with temperature changes and compromise the structural integrity of the tooth. Dental implants: Dental implants permanently replace your tooth roots. Bone or soft tissue grafts: Before placing implants, we may need to perform a bone graft to establish a strong base for the restorations. Similarly, if you have suffered gum recession due to periodontal disease, a gum graft can prevent tooth loss and dental sensitivity. Full mouth reconstruction can be a life-changing procedure. Not only can the treatment restore your dental function so you can eat and speak normally, but many of the procedures can often prevent future dental damage. 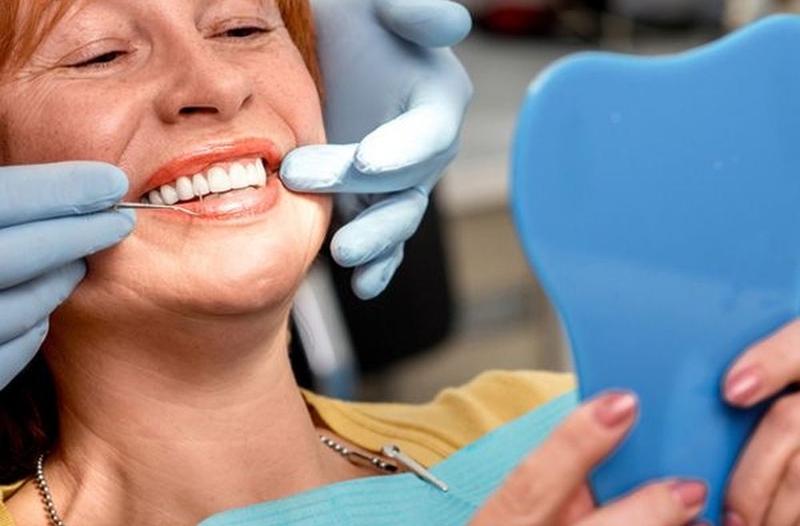 Additionally, full mouth reconstruction can replace missing teeth and repair severe damage, helping restore aesthetics to your smile and helping you feel significantly more confident. Full mouth reconstruction can replace missing teeth and repair severe damage, helping restore aesthetics to your smile and helping you feel significantly more confident. The benefits are two-fold when you visit Windsor Dental Group. Our team has been working in their respective fields for many years, and they stay informed of emerging trends through continuing education. Using advanced technology and materials, they can achieve stellar results to exceed your expectations. In addition, by combining several treatments, you can often save more time and money than you would by undergoing several separate treatments. Begin planning your full mouth reconstruction today by calling our office at (707) 838-3363 or contacting us online to book a consultation. One of our friendly staff members can book a consultation with one of our doctors and get you smiling with confidence again.